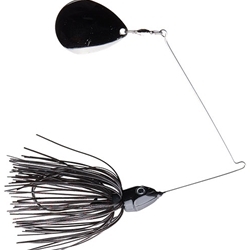 The Big LeBoom Spinnerbait is desgined by FLW Pro Nick Lebrun. The Big LeBoom is built with a single Colorado blade to give it that extra thump. It is also build with a 5/0 Mustad Ultra Point hook with a thin vibrating wire that gives it a little extra action.